NOAA scientists are rewriting the book on the study of whales, and they are backed up by a hi-tech solution to a key problem. Scientists have a number of tools used to study marine life, from robotic submarines to highly accurate sonar systems, but researchers from the National Oceanic and Atmospheric Administration are beginning to employ a new tool to monitor the highly mobile and imperiled whale population in Hawaiian waters. According to a report from CS Monitor, the NOAA is the first organization to launch drone expeditions to study and protect whales traveling the world’s oceans. Drones provide a unique opportunity to monitor whales and dolphins in critical areas like feeding and breeding grounds. Typically, these mammals are very wary of research boats and often leave the scene before scientists even have a chance to begin recording data. NOAA researchers first used drones to study dolphins and whales in the Hawaiian archipelago this summer, which is home to more than 20 different species of ocean-dwelling mammals. Using a hexacopter drone, scientists were able to get a better image of the lives of these mammals than ever before. Researchers were able to get accurate counts of the number of individuals within a pod, in addition to accurate measurements of individual whales. Now, the NOAA has released a set of guidelines for best practices on using drones to study these majestic creatures. Researchers are currently being trained as pilots for the unmanned aerial systems, and the organization hopes to employ drones to study whales and dolphins on a much broader scale in the coming years. Using drones allowed scientists to carry out their research from a single boat without worrying about disturbing the animals. The research expedition, which lasted for a month, showed scientists that traditional methods for studying wildlife are not always the most effective. 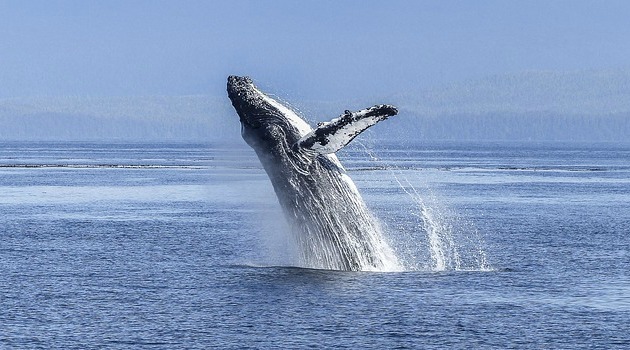 The hi-tech solution to monitoring whales and dolphins allows researchers to get a better reading on the health of different populations, and therefore the health of the world’s oceans. It takes a strong ecosystem to support these massive creatures, and gauging their health and strength serves as a window into other things that may be occurring beneath the surface.